So is the David Cameron mask slipping? Who is the real David Cameron and what does he stand for? And, of course, the ubiquitous Guido Fawkes has his own interpretation of what emerged from yesterday’s debate. As Michael Goldfarb puts it David Cameron went “tribal”, saying he “charged after welfare cheats and claimed big business backs him”. And David Cameron also had his “off camera” moment – see here – apparently in his world £1.2 billion is only a small amount of money, which brings us back to here. After the dissection of the Tory manifesto by Sir Humphrey Appleby (courtesy of BBC Newsnight, now it is the LibDems turn. And this is how the civil service would have dealt with the Sky News feed …..
Over thirty years ago Blair Peach died following a demonstration at an anti-National Front demonstration in Southall, during the 1979 General Election campaign. Today the Metropolitan Police published the report of the investigation into his death. The publication of the report follows a long campaign by Blair Peach’s family and Inquest, which was supported unanimously by the Metropolitan Police Authority last year. The decision by the Metropolitan Police Commissioner to publish the report and its supporting information should have been a very positive display of openness and transparency by the MPS and a demonstration of how much has changed in policing in the last thirty years. ” an extremely violent, volatile and a ugly situation where there was serious disturbance by what can be classed as a ‘rebellious crowd’. “The attitude and untruthfulness of some of the officers involved is a contributory factor. “It is understandable that because of the events of the day officers were confused, or made mistakes, but one would expect better recall of events by trained police officers. This falls a long way short of acknowledging the responsibility of the Metropolitan Police Service for what happened. Clearly, “sorry” remains a very difficult word for a Commissioner to utter. BBC’s Newsnight, demonstrating that their editors can still take what Sir Humphrey himself might have called “a brave – if not career-limiting – decision”, have produced (in the style of “Yes Minister“) a brilliant dissection of the Tory manifesto. It just shows again that there is a real sense of needle between David Cameron and Mayor Boris Johnson. Why did the Mayor’s office bother to respond at all? 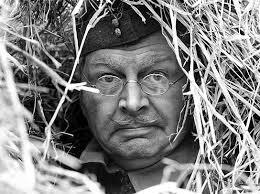 The LibDems to use Dad’s Army’s Corporal Jones’s phrase “don’t like it up em”. They clearly did not expect the orchestrated attacks on Nick Clegg and their Party, which according to Nick Robinson were organised by Conservative Central Office and Team Cameron. This is a bit ironic coming from the Party that excels in this tactic at local level and in by-elections. We are told there is a possibility of a hung Parliament and that allegedly this is the outcome that many voters would like. This morning on the Today programme one voter said a hung Parliament might be a good idea because you would be getting the best bits of each Party. Be careful, what you wish for. Is this the bubble bursting? Are Clegg and the LibDems starting to subside? I know that one should never generalise from one canvass session. I also know that my unexpected appearance on the doorstep may have a strange effect on the house-holder concerned. It is, of course, well-known that my charm, sunny demeanour and general all-round people skills (note the repeated use of irony) will have a strangely persuasive effect on those subjected to its full force. However, in the space of 90 minutes this evening I came across four people who had previously voted Liberal Democrat but were now undecided …..
Something strange is happening out there. Civil servants are supposed to be in “purdah” during the General Election campaign. However, despite central Cabinet Office guidance, Government Departments seem to be developing rather different interpretations of what this means and some seem to be taking it to ludicrous extremes. one Government Department has cancelled a meeting that takes place in private, whose papers and proceedings are classified, is only attended by civil servants and official representatives of public bodies, and does not take decisions – canceled in the name of “purdah”. another Government Department allowed a meeting of an officially-constituted Advisory Group (on a fairly non-controversial area of work) to go ahead (on their premises) attended by about twenty voluntary sector representatives – but no civil servants attended in the name of “purdah”. a third Government Department has instructed a contractor to stop working on a Departmental programme (one that is likely to continue in some form whatever the result of the election) because the work involves talking to the external bodies that deliver the programme concerned – business-as-usual-not, in the name of “purdah”. I am not sure that any of the decisions make particular sense, but they all stretch the meaning of “purdah” as previously interpreted. Presumably, civil servants are now so busy producing policy options for so many different permutations of electoral outcomes that day-to-day government has had to come to a grinding halt – no wonder it took them so long to notice the volcanic ash crisis. There are moves afoot to cancel next week’s meeting of the Metropolitan Police Authority because “we are in the election period ? [and] this will have an effect on debate.” It has, of course, been known for some time that there would definitely be London Borough elections on 6th May and it was an increasing certainty that the General Election would be held on the same date, so it is a little disingenuous to suggest that this has suddenly come as a surprise nine days before the scheduled meeting. It is also nice to know that there is “debate” at Police Authority meetings – something that I had previously missed. And, of course, it would never do if politics intruded. Not that it ever has before (can you spot the heavy irony?). I suspect the real reason is to avoid comment – let alone “debate” – about David Cameron’s strange statement in the first Leaders’ Debate about the number of uniformed police officers working in the Metropolitan Police’s HR Department. I had tabled a question asking the Commissioner for his comments on this and the Met have already made a statement explaining that the officers concerned are overwhelmingly involved in training other police officers. Still it would never do to have the Commissioner of Police for the Metropolis saying in a public forum a week before polling day that the Leader of the Opposition was talking garbage. And no-one would want to highlight the fact that either the Leader of the Conservative Party doesn’t trust the Conservative Mayor and Deputy Mayor of London enough to check his facts with them OR that he dislikes them so much that he is prepared to highlight their failure to sort out what he clearly perceived as a problem. It could, of course, be both: he doesn’t trust them AND he wanted to put the boot in.